Is this real life?! We had to pinch ourselves when we saw the floral design we did for Sydnie & Sahar's Malibu Rocky Oaks wedding featured in Inside Weddings Magazine. 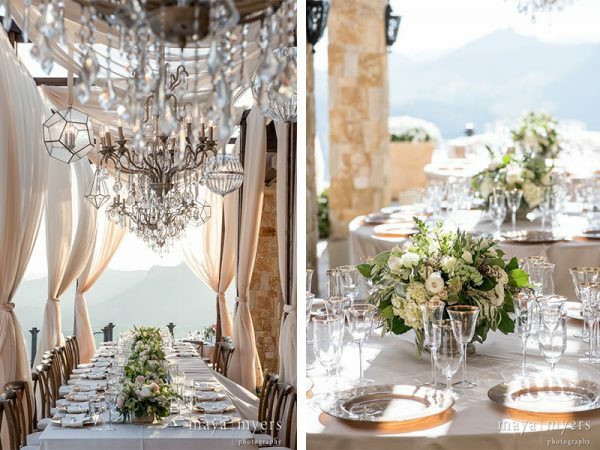 This gorgeous event, filled with striking wedding flowers in natural tones, is one of our all time faves (naturally!). Sitting high above the clouds in Malibu, surrounded by wedding flowers designed by lil ol' us, Sydnie & Sahar say "I do." 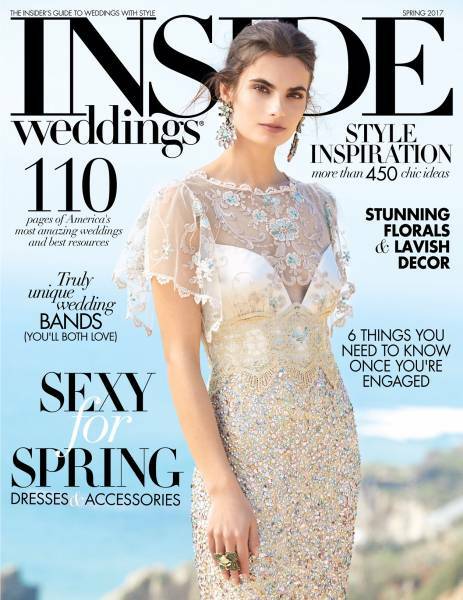 A million thanks to Inside Weddings magazine for this incredible feature! 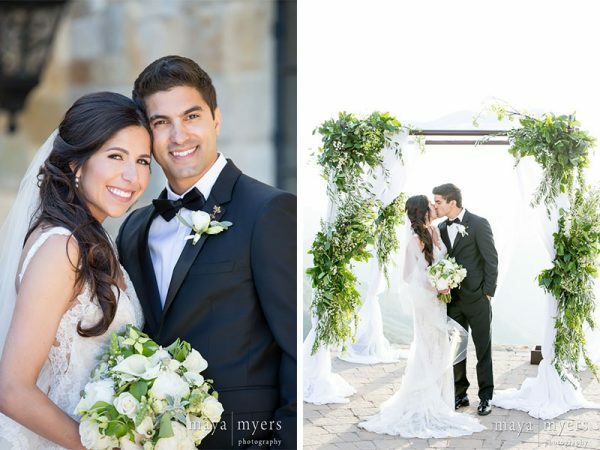 Gorgeously captured by Maya Myers Photography and flawlessly produced by Sterling Engagements, an all star group of creative partners (see full list in footer) made this wedding absolute perfection! 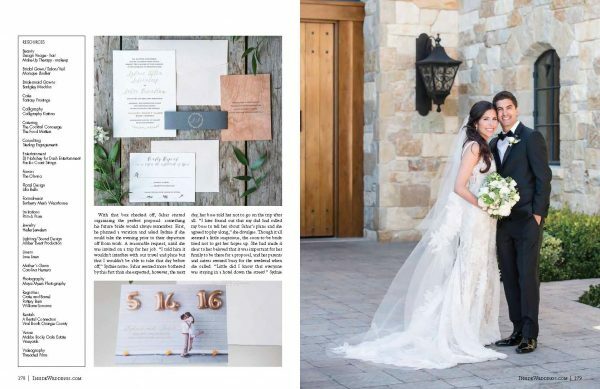 Here's a recap of this amazing couple's story and the captures of their stunning day! Sydnie was prepared to be patient since her long time boyfriend, Sahar, was in medical school (no pun intended... ok, maybe a little! ), so she didn’t anticipate a proposal before he graduated. But after seeing how supportive Sydnie was throughout his grueling school experience, Sahar didn’t want to wait a minute longer. He opted for the traditional route, and made plans to take Sydney's father to dinner to ask for his daughter’s hand in marriage. Her father was, of course, elated and gave his permission wholeheartedly. 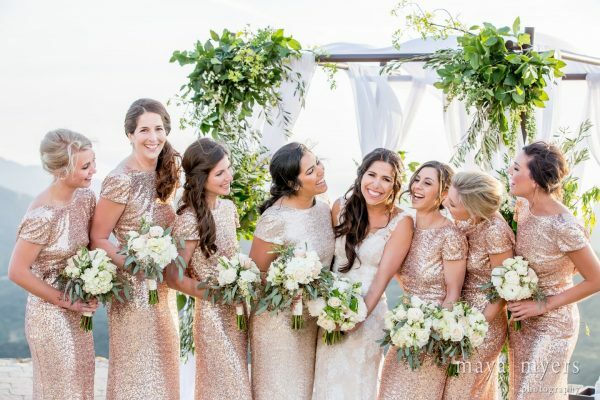 With the blessing under his belt, Sahar set out to plan an elaborate proposal that involved all of Sydnie’s friends and family (even her boss and co-workers were in on it! ), with a celebratory trip to the Caribbean immediately following. He asked, she said 'YES!,' and off they went for a week of beach bliss. 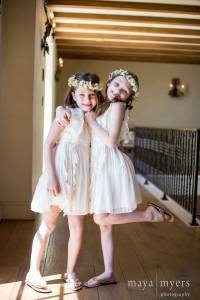 When they returned, they were rested and ready to jump into the wedding planning! 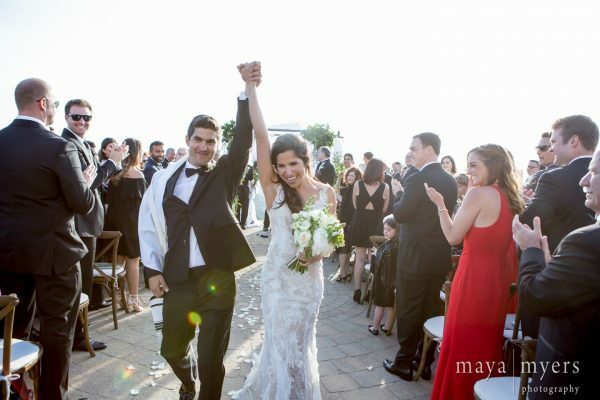 Originally from Los Angeles but living in San Francisco, Sydnie & Sahar had originally considered a Napa event. 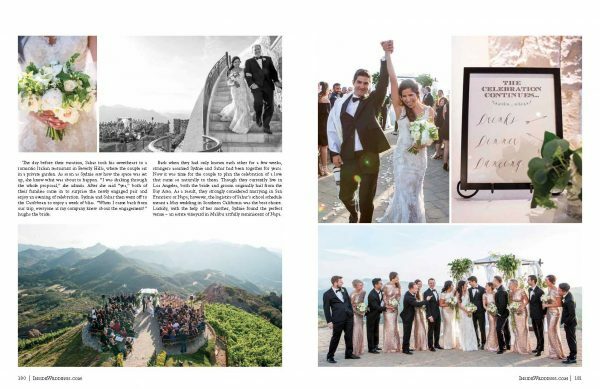 But when scheduling made a SoCal wedding the better option, they were thrilled to find the ideal venue in Malibu Rocky Oaks Estate Vineyards. Nestled in the Santa Monica Mountains, and featuring an expansive Tuscan estate, the stunning location was perfectly reminiscent of Napa. 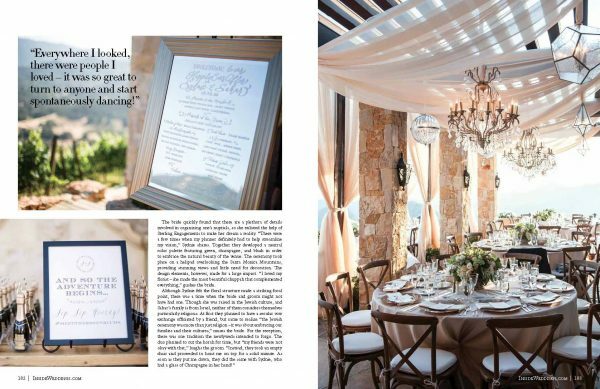 With a date set and Malibu Oaks secured, the couple turned to the spectacular Sterling Engagements to help plan and coordinate the rest of the big day details. 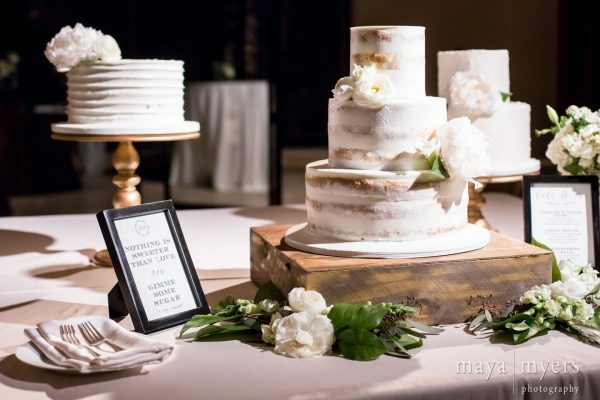 With their help, a neutral color palate was decided on, which would feature shades of green, champagne and blush to embrace the natural beauty of the venue. 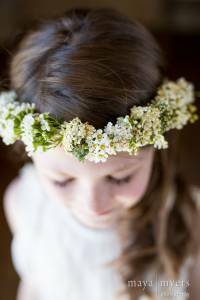 "I wanted to showcase this romantic, effortless, elegance with my flowers." It was around this time that we were enlisted as the floral designer for the big day. 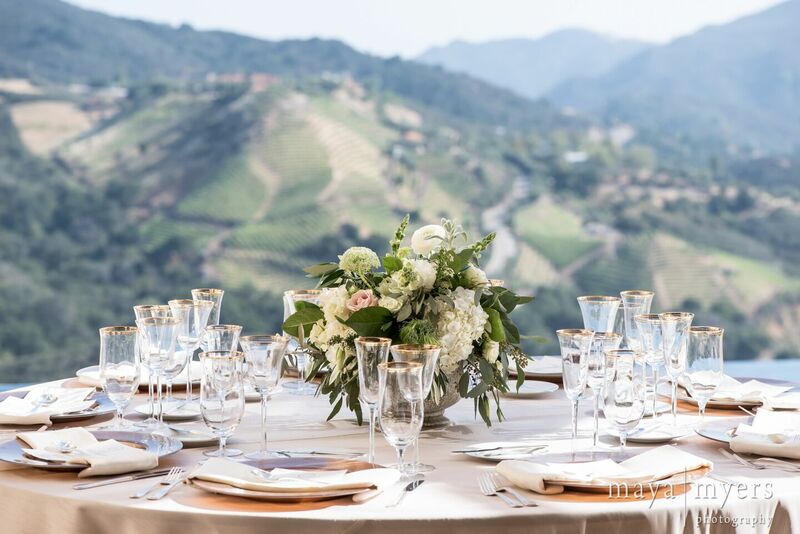 We sat down with Sydnie and talked through some ideas for wedding flowers - everyone loved the idea of playing with the natural setting of Malibu Oaks and using hues of nature as our floral palate. We decided on warm stone vases to keep the arrangements natural and fresh. And once Sydnie learned there was a gorgeous pink/blush colored rose called the 'Sahara' Rose, she insisted it be THE accent flower as a nod to the groom, Sahar! 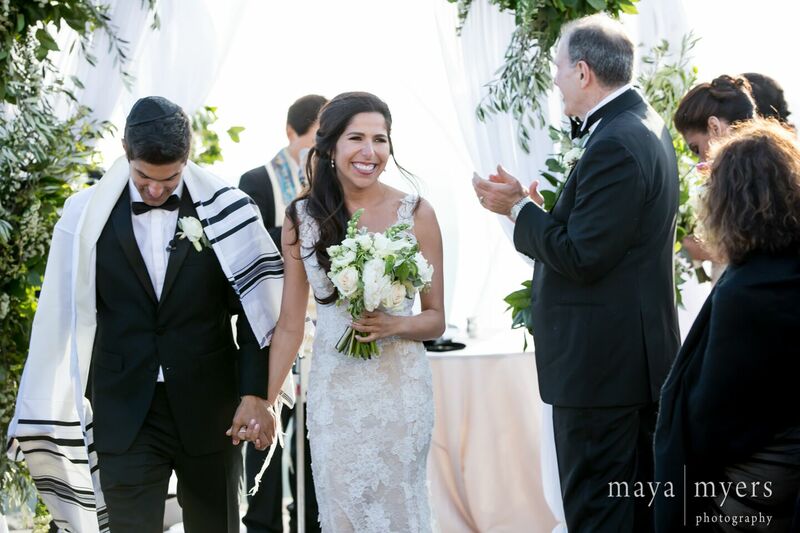 The ceremony took place on a helipad overlooking the Malibu hillside. With those stunning views, there was little need for decoration. Lucky for us, one of the only design elements at the ceremony location was a floral focal point - a stunning chuppah that the couple would say their vows beneath. We created the traditional canopy using mixed foliages of olive, lemon, and spirea, and free flowing white draping. 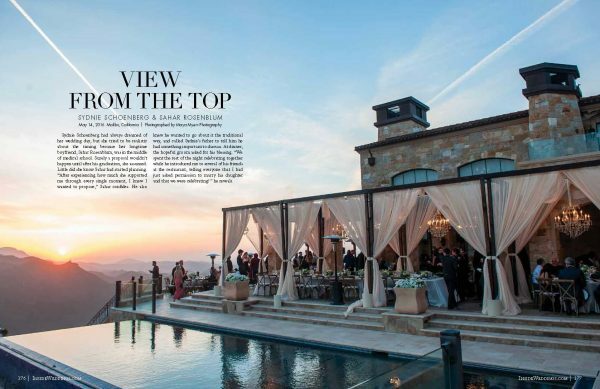 After the ceremony, guests headed to a reception featuring long feasting tables under dramatic fabric draping by Amber Event Production that overlooked the most gorgeous view imaginable. 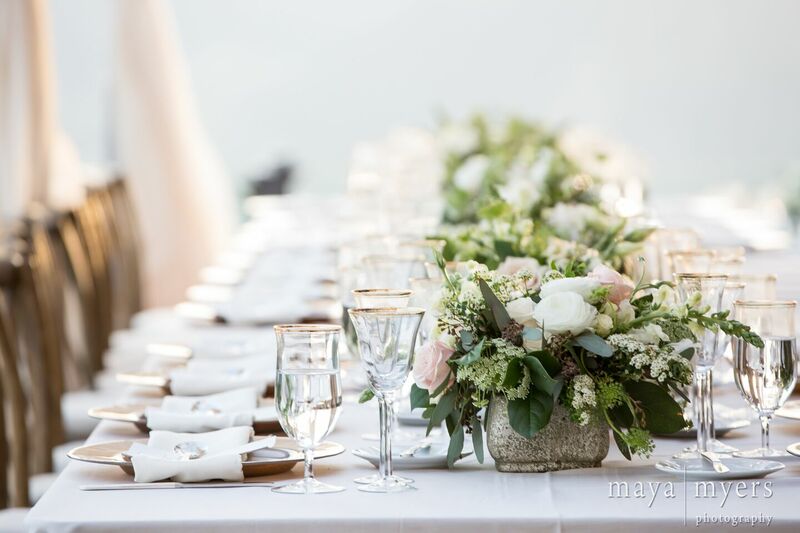 Centerpieces consisted of free flowing foliages in stone planters filled with luxurious white blooms such as garden roses, hydrangea, ranunculus, snap dragons, green mist, and spirea with accents of blushy pink Sahara roses. "Everything looked like it belonged and had been there for ages." 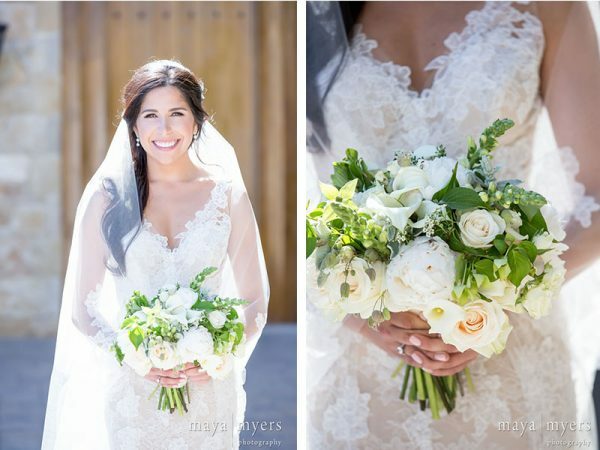 One of our favorite part of designing wedding flowers is, of course, the bridal bouquet! 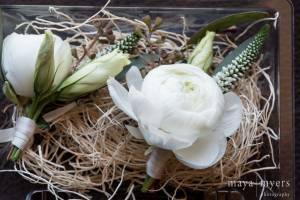 During our consultation, Sydnie let us know she loved white calla lilies, as well as the snapdragons we had put in the centerpiece designs - she adored their shape and the way they felt sort of wild. She wanted a bouquet with flow and movement that was simultaneously classic and elegant. With that, we designed a bouquet featuring peonies, snapdragons, more Sahara roses, and white calla lilies, with delicate greenery throughout. The bridesmaids bouquets perfectly complemented the bridal bouquet, with hydrangea, Sahara roses, lisianthius, and eucalyptus, all tied together with a simple ivory wrap. 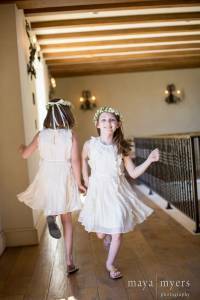 The theme of natural beauty carried through the handmade flower crowns for the flower girls, featuring white wax flowers and ending in trailing ribbons. 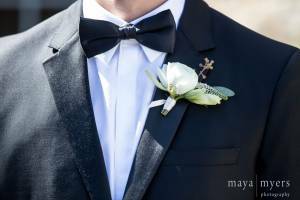 For the gentlemen, we kept it classic and elegant, adorning Sahar and his groomsmen with boutonnieres of ranunculus, veronica, a lisianthius bud, and eucalyptus. Collaborating with the other vendors is another highlight when it comes to designing wedding flowers. So when Fantasy Frostings wanted our help with florals for their elegant "naked cake," we jumped at the chance to accent their stunning confection with peonies and ranunculus.